INNOWA is a project funded by European Commission in the Asia Pro Eco Programme. 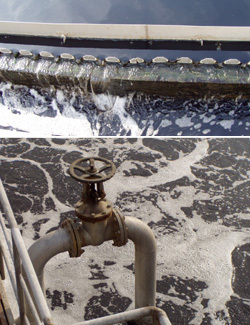 It aims at building capacity for technology transfer by establishing an European-Asian technology network on innovative water treatment technologies with focus on membrane techniques. The target countries are Bangladesh and China. The target groups are educational and research institutions as well as industries in Asia and Europe. Within the framework of this project, teaching and research staff and industrial users from Asia will have the opportunity to attend training courses and seminars given by specialists from Europe. Adapted, cost-effective water treatment technologies in the field of drinking and industrial water treatment will be developed in collaboration with the industrial sector and will be promoted for market application. This project will make path to a long term collaboration in different forms (joint research, organization of training courses, joint seminars, publications, technology transfer) between Asian and European countries in the field of technology development and technology transfer.